Clara’s Birthday Party at BusyBees! 5 years old! FIVE YEARS! I can’t believe the one who made me a momma is now 5, a whole hand big! Clara started talking about her birthday a couple months ago and likes to make a big deal out it. But I can’t blame her. I’ve realized these years go by in the blink of an eye and are so precious when they are little, so full of life, and excited about everything! 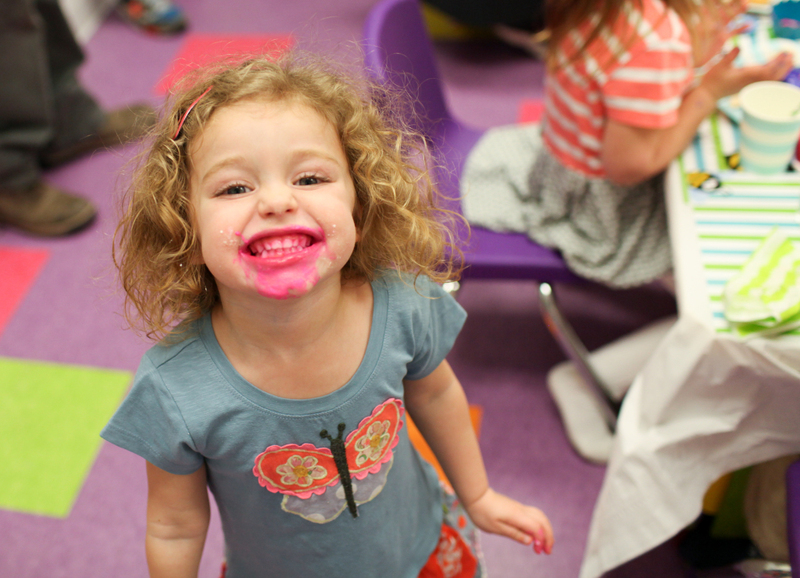 It only seemed fitting that we celebrate her 5th birthday at BusyBees, one of her favorite indoor playgrounds in the DC area. 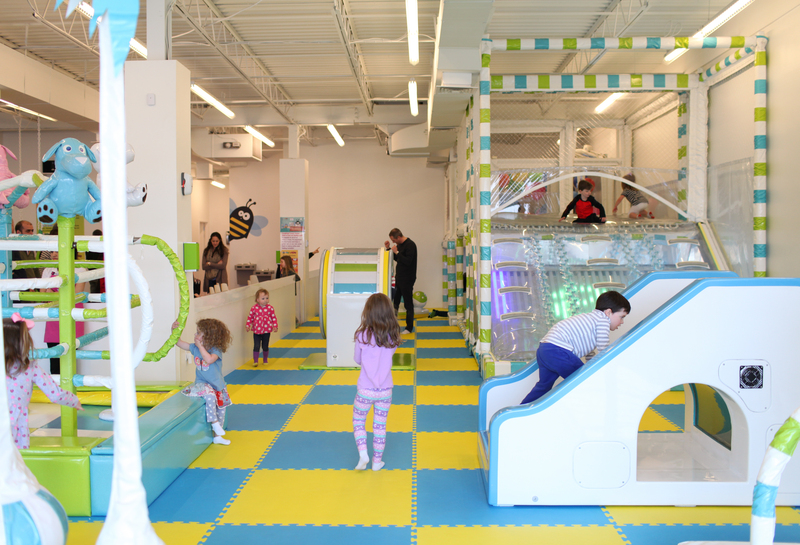 If you haven’t yet been to BusyBees, then check out this article with all the details. 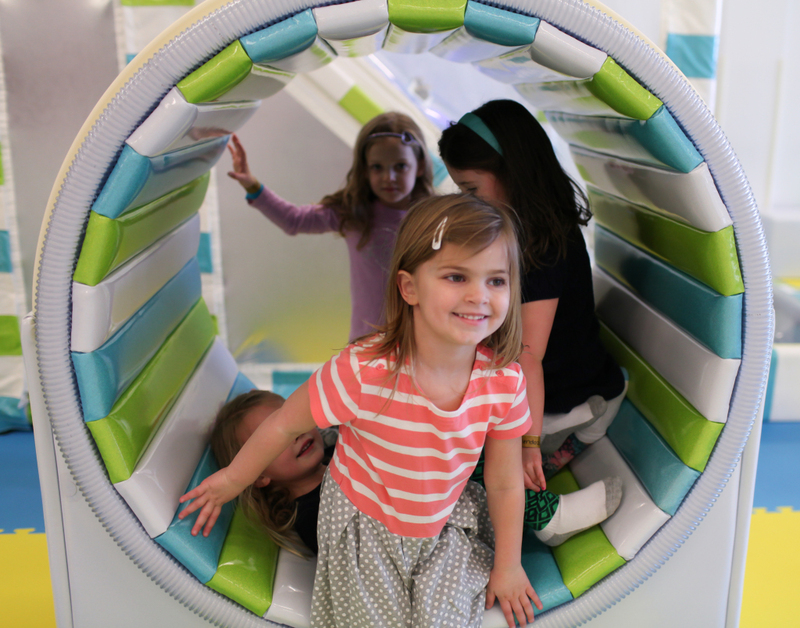 You will definitely want to take your kids to play there soon because it’s a happy place to play for both kids and parents! Planning the party at BusyBees was so easy and stress-free. 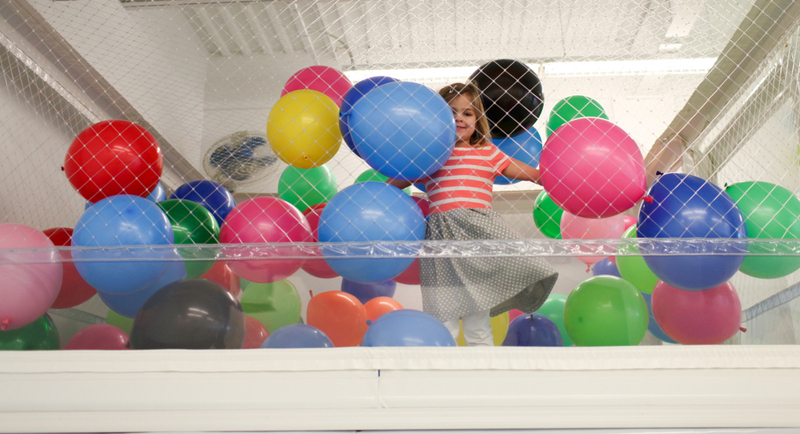 We chose the private party option so that we would have the entire space to enjoy with all of Clara’s classmates and friends. 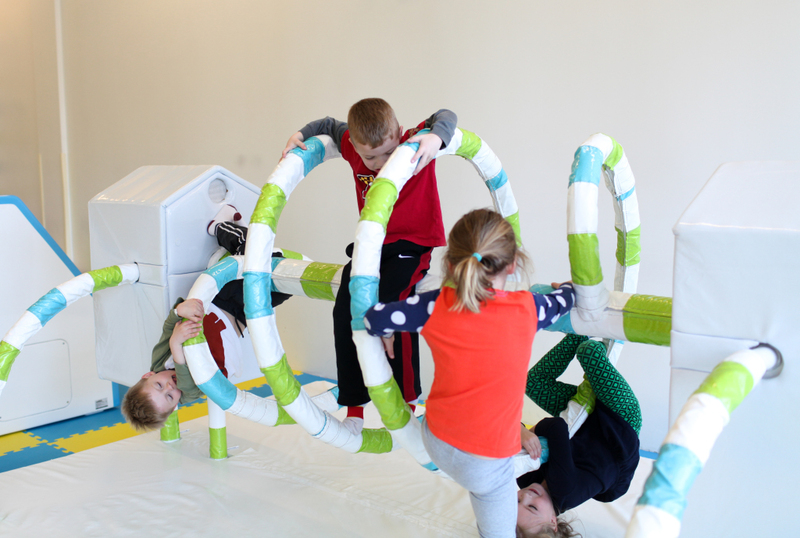 They offer four different party packages with weekday and weekend options and exclusive or shared playground space. More information can be found here. As an added bonus, I didn’t even have to plan the party decor and tableware! That was all taken care of by Simply Genie – a DC based company that offers designer parties in a box. 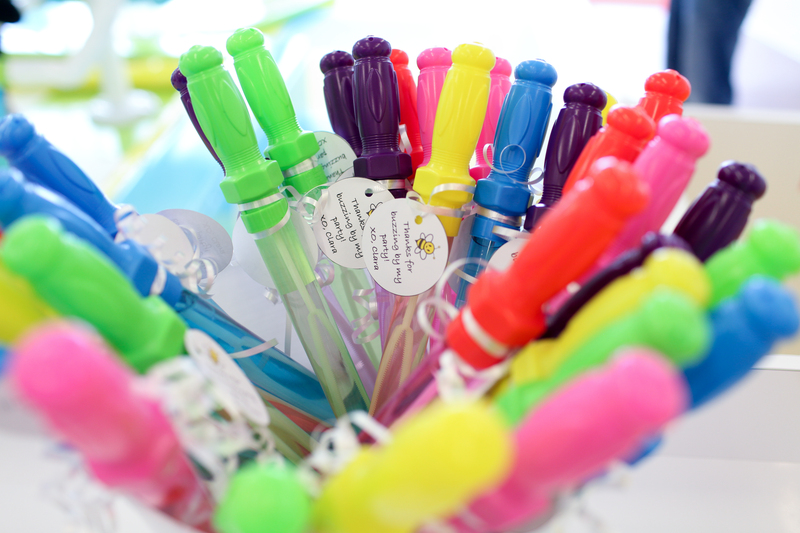 They partnered with BusyBees to offer a personalized BuzzytheBee party package option. As you can see from the photos, it was absolutely adorable and they didn’t miss a detail. Stripes and polka-dots happen to be one of my favorite combinations! And better yet, the prices are so reasonable. They had everything set up when we arrived, so we felt like we could fully enjoy our guests. 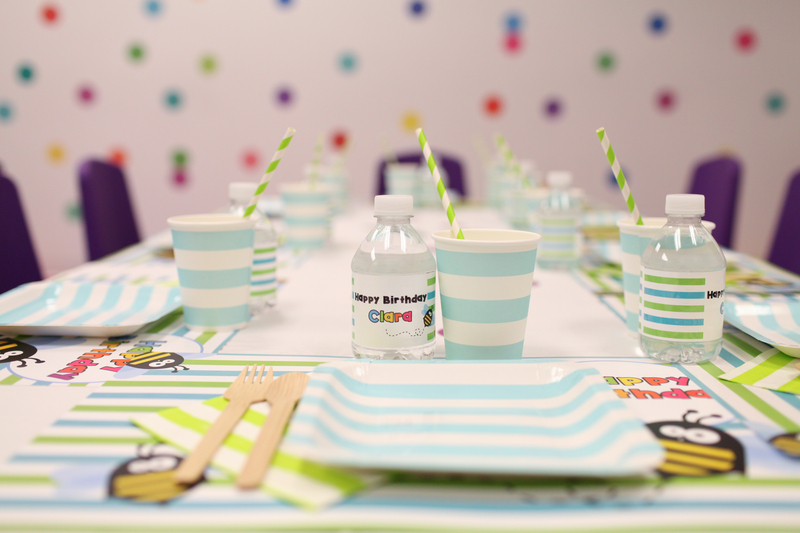 The package included customized water bottle wrappers, bamboo cutlery, plates, cups, straws, and napkins. It also included the adorable place mats featuring BuzzytheBee himself. And these place mats have a coloring page on the backside, so the staff wiped them down after the kids ate and everyone got to take theirs home! How cool is that? 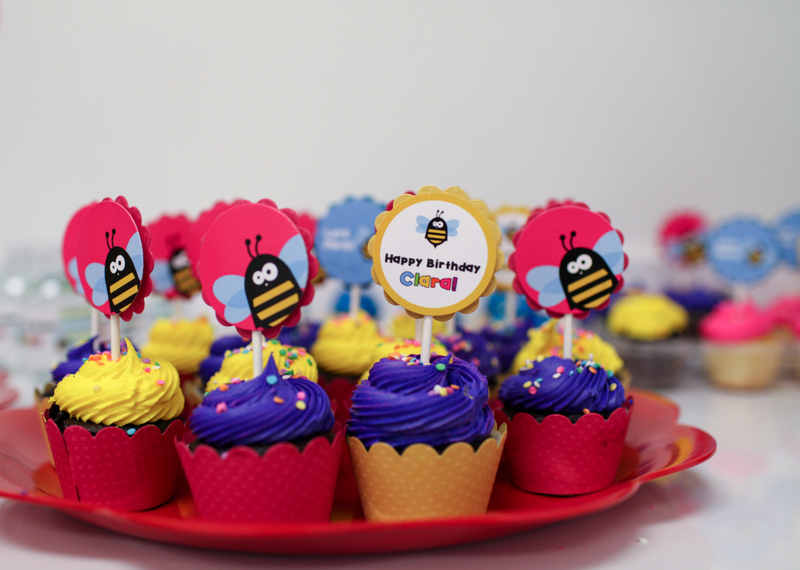 The party package by Simply Genie also included customized cupcake toppers. Seriously, adorable! 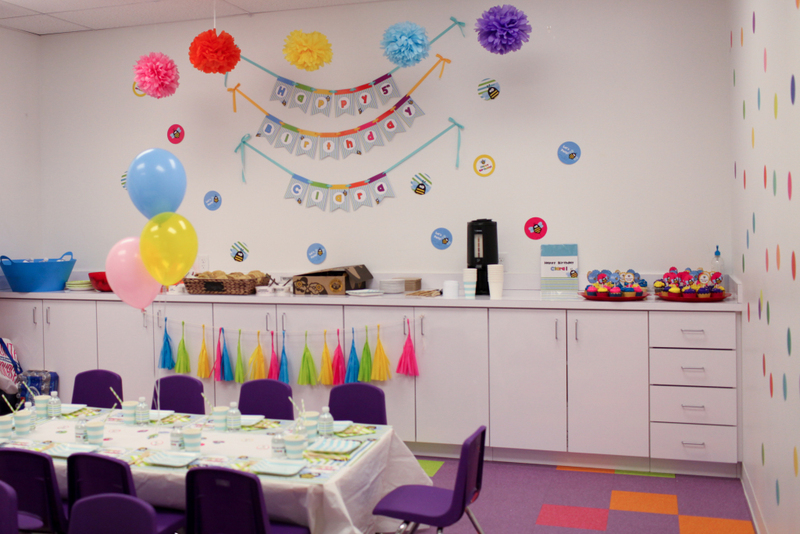 The customized Happy Birthday banner and bright pom poms added a festive punch to the party room. The kids all had a blast playing together in the playground and didn’t want to leave when the party was over. It was the best feeling in the world to watch Clara having fun with all of her friends. 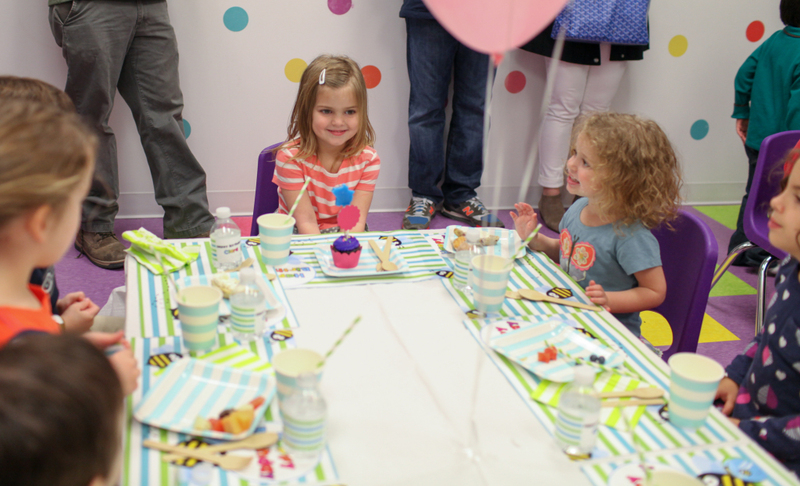 We made some wonderful memories at Clara’s 5th birthday party thanks to BusyBees and Simply Genie! 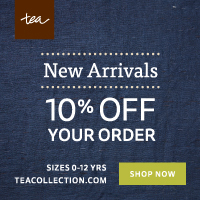 I really can’t recommend them highly enough! The owner of BusyBees is truly a wonderful person who sincerely cares about creating the best party experience for her guests. They offer a complimentary party concierge service to handle all the planning and will even order the food if you prefer. Or if you are a party planning extraordinaire, you can always bring in all your own stuff. You really can get the exact party you are looking for at BusyBees!